Visiting Kolkata and need to stay near the airport? Up until recently, the options weren't very appealing and predominantly consisted of the row of rather unremarkable hotels lining congested V.I.P. Road. There are a few outstanding ones, mentioned below, but most are avoidable unless you're on a really strict budget and don't mind roughing it. The development of Rajarhat, southwest of the airport, has fortunately brought many new hotels to the area. They're excellent value for money as well, especially when discounts are offered. 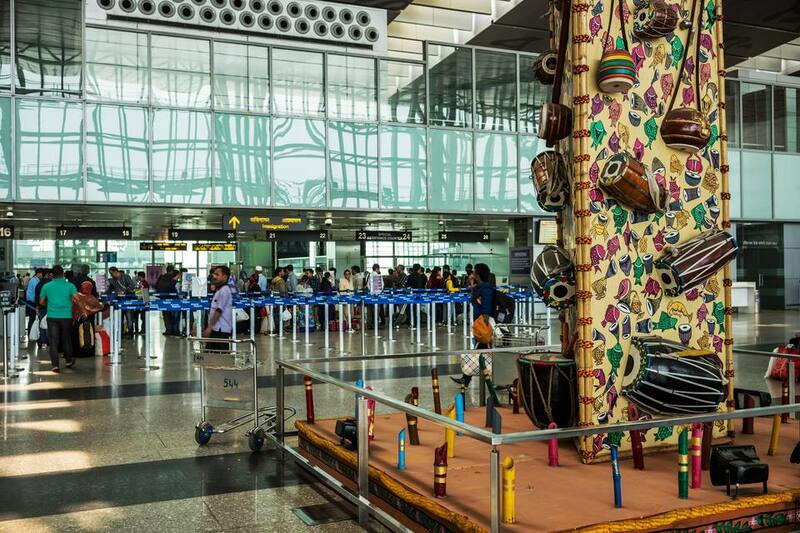 This guide to Kolkata airport hotels will help point you in the right direction of the best options. The closest luxury hotel to Kolkata airport, the Swissôtel Kolkata opened in mid 2010 and is part of the new City Center II urban development in New Town's Rajarhat, about 15 minutes from the airport. The hotel is attached to a large shopping mall and cinema complex, so staying near the airport doesn't have to be boring! It's a striking property with 147 rooms and suites, two restaurants, two bars, spa, fitness center, business center, ballroom, and outdoor swimming pool. If you feel like indulging, some suites have private terraces with an outdoor Jacuzzi or plunge pool. Double rooms are priced from around 7,000 rupees per night. However, it can be possible to pick up a room for only 5,000 rupees per night. Expect to pay about 15,000 rupees per night for a suite. Breakfast is additional. Do note that this is a non-smoking hotel. The Holiday Inn launched just down the road from the Swissôtel Kolkata in early 2017 and has quickly become popular. A slightly less-costly option, this upmarket 137-room hotel focuses on both business and leisure travelers. Facilities include a business center, fitness center, small rooftop swimming pool, restaurant, lounge bar and patisserie. A banquet space and more rooms are being added. Rates start from about 5,500 rupees per night, although rooms are often available for less. Breakfast is extra. Children aged under 12 eat and stay for free. Pipal Tree is a contemporary new boutique hotel in the same area as the Swissôtel Kolkata and the Holiday Inn. It has 34 rooms and fantastic service. Facilities include a distinctive global cuisine restaurant headed by a chef from leading luxury hotels, a bakery and cafe, a lounge bar with dramatic views, fitness center, games room, and travel desk. Rooms come with something you won't usually find -- electronic foot massage machines, perfect for relaxing after a long flight! There's free wireless Internet too. Expect to pay around 3,000-5,000 rupees per night for a double room. Children aged under nine stay free. Comfortable and clean Ethnotel is a decent mid-range hotel less than 10 minutes north of Kolkata airport, on Jessore Road. It has a 24-hour multi-cuisine restaurant, lounge bar, and 40 rooms. The only drawbacks are that some rooms face the main road and traffic noise can be disturbing at night, and standard rooms are on the smaller side. The front-facing rooms on the upper floors have great views of the airport though! Rates start from 3,500 rupees per night for a standard double room. If proximity to the airport is your main concern, Hotel O2 Oxygen is barely five minutes away on V.I.P. Road. The hotel has two distinct buildings situated next to each other -- O2 Oxygen and O2 VIP -- which can be confusing. O2 VIP is a newly built structure, whereas O2 Oxygen is in the process of being refurbished (only a handful of non-renovated rooms remain). In total, there are over 100 rooms. The combined facilities include two restaurants, lounge bar, 24-hour coffee shop, and pub. Rates start from around 3,600 rupees per night, including breakfast. Celesta is the most popular choice for a mid-range stay on V.I.P. Road, around 10 minutes south of Kolkata airport. This new hotel opened in 2014. It has 40 rooms, a conference center and banquet facilities, restaurant, cafe, rooftop lounge bar, and free wireless Internet. Expect to pay 4,500 rupees per night upwards for a double room, although it's frequently possible to get a deal for around 3,000 rupees per night. Not far from Ethnotel on Jessore Road, the Airport City Hotel is a fair value for what it offers, especially if you get a discounted rate through an online booking engine. Facilities include a restaurant and 24-hour room service, bar, gymnasium, shallow rooftop swimming pool, and wireless Internet. There are 55 spacious rooms with great beds. Expect to pay around 3,000 rupees per night for a double, including breakfast. Options for a cheap stay near the airport are really rather dismal, with common complaints about hotels including poor service and lack of cleanliness. Therefore, Butter-Couch Homestay is a welcome new alternative. This friendly and intimate new property is tucked away in an apartment building above the State Bank of India, right next to City Center II and the Swissôtel Kolkata in Rajarhat. The location ensures you'll find plenty of things to do in the area, including restaurants and shops. There are just a handful of guest rooms, starting in price from 1,200 rupees per night with breakfast included.